Are Atlanta Residents At Risk for Zika Virus? You have probably heard of the Zika Virus and you may have seen last week’s article in the AJC. At least one case of Zika has been diagnosed in Atlanta so far in 2016, and the primary carrier of this diseases is a well-known pest in Atlanta: mosquitoes. Mosquitoes have plagued communities all over the world. It is almost ironic that such a tiny insect can cause enormous health epidemics. The species of mosquito that carries Zika is the Aedes Aegypti, which is not native to the Americas, but has recently invaded parts of Central and South America. ABC is dedicated to keeping our friends and neighbors informed when a public health concern arises in Atlanta. We usually don’t get questions from customers about mosquitoes until the summer hits, but this year we have because of Zika. We have the need-to-know answers to important questions you may have about Zika in Atlanta. 1. What are the CDC Travel Recommendations for Zika Virus? The CDC is a point of pride for Atlanta, where the organization is headquartered. The CDC is the go-to source for public health information, and we refer to their guidelines all the time when it comes to insect and wildlife control. Additionally, outbreaks of Zika have occurred in American Samoa, Samoa, and Tonga in the Pacific Islands and in Cape Verde, Africa. There are three types of warning notices that the CDC issues regarding travel to certain areas. Alert Level 2 was issued for travel to regions with Zika. Travelers should “practice enhanced precautions” in these countries. Pregnant women are advised to take extra special precautions because the virus may be linked to abnormal fetal development and birth defects. “Increased risk in defined settings or associated with specific risk factors; certain high-risk populations may wish to delay travel to these destinations.” – The CDC on Alert Level 2 regions where Zika is present. 2. What are the Symptoms of Zika Fever? Zika is characterized by symptoms of fever, rash, joint pain, and conjunctivitis (red eyes), muscle pain, and headache. Some people bitten by mosquitoes infected with Zika will not become ill or will show no symptoms. Zika is not a life-threatening infection for those who catch it. 3.Why should Pregnant Women be Concerned about Zika? Like any illnesses, Zika can spread from mother to baby. Some in the health community believe that Zika causes a birth defect called microcephaly in unborn babies. This is why expecting parents are asked to take extra precautions when traveling or to postpone travel to countries with Zika outbreaks. The virus itself is not deadly to the mother, but the birth defects Zika might cause are detrimental to unborn children. 4. What should Pregnant Women do? If you are pregnant and recently traveled to a region where Zika is present, tell your doctor, even if you don’t feel sick. The doctor will help you monitor your pregnancy. Atlanta Residents can fight back against Zika. 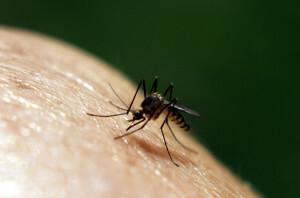 Regardless of whether you are concerned about Zika or are traveling in Central or South America, there are things you can do to prevent mosquito bites. Wear long sleeves, socks, and expose as little skin as possible when mosquitoes are present. Use a generous amount mosquito repellent. Take measures to eradicate mosquitoes from your property. Mosquitoes in Atlanta are not known to carry Zika, but that doesn’t mean you should not take precautions. Mosquitoes are difficult to exterminate, but ABC has professional tools to keep them from taking over your property. Our trained technicians will come out for a free inspection of your yard any time and work with you to set up monthly mosquito control maintenance that will keep the mosquitoes away all spring and summer. Concerned about Zika and other mosquito-borne illnesses? Don't wait until summer to protect your family. Our pest technicians will inspect your yard for free and set-up a mosquito treatment schedule that works for you.